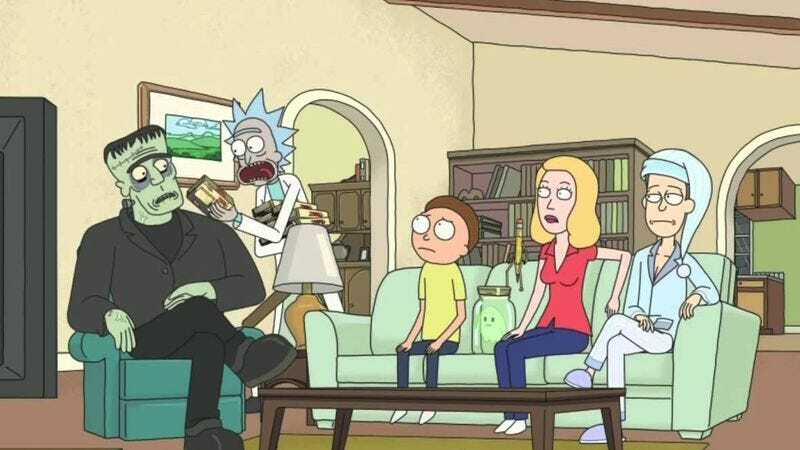 The existence of multiple realities, most of which are nearly identical to each other, has been an important part of Adult Swim’s Rick And Morty since it started. A few episodes have even dealt with the fact that there are countless other versions of the show’s eponymous duo running around their universes, each one slightly different from the others in mostly superficial ways (one has a different shirt, the other is pure evil, etc.). The problem with alternate reality concepts like that, though, is that we rarely get to see all of the different versions of people fight each other to see which is truly the best. Finally, though, it looks like a new Rick And Morty mobile game will give us that chance. As announced by Rick And Morty co-creator Dan Harmon on Twitter, the game is called Pocket Mortys and—if the title wasn’t a big enough clue—it looks like a Pokémon-style role-playing game in which you play as some version of Rick who is traveling around, collecting various different Mortys, and battling them against other Ricks who have their own collections of Mortys. The game will be free, playable on iOS and Android devices (but not Nintendo 3DS, oddly), and it’ll be available on January 14. You can see some preview gifs of Pocket Mortys below.